Powerful dishwasher tablets made from a blend of naturally occuring minerals and salt. 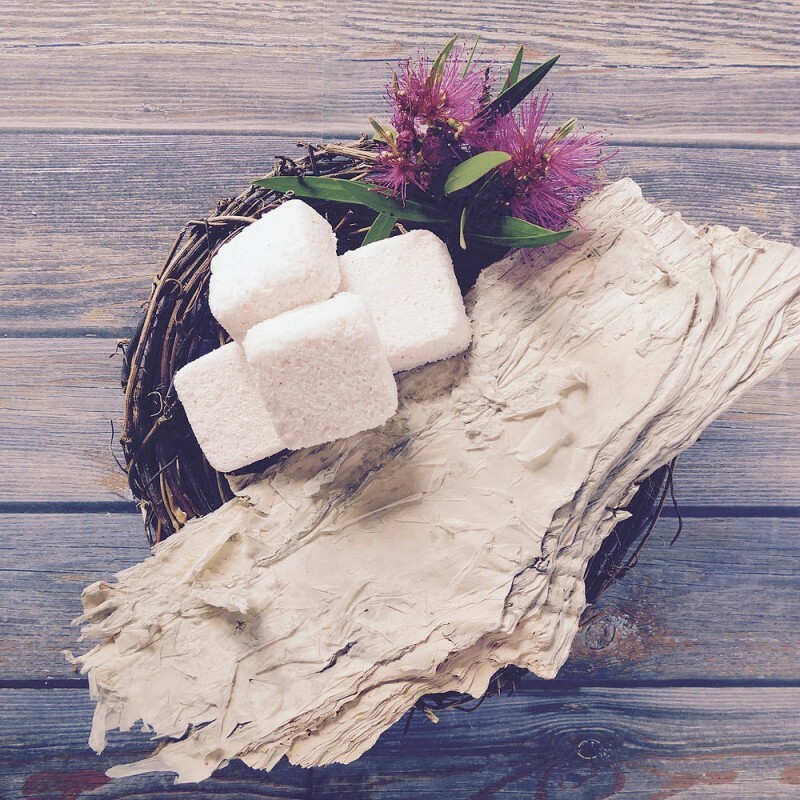 Scented with Australian native cajeput oil, the smell is similar to eucalyptus, but a little fresher, and Australian Wimmera pink salt rather than Himalayan! Hand made in small batches. Non-abrasive and will deodorise your dishwasher while cleaning your dishes. Pack of 20 tablets. Handmade in small batches in Australia. Chemical free cleaning product, safe for your home and the environment. Sustainably and respectfully harvested Pink Salt. Strong natural formula with a fresh scent. Mt. Zero hand harvested pink salt from Wimmera, honouring the Barengi Gadjin Land Council and the traditional land owners. 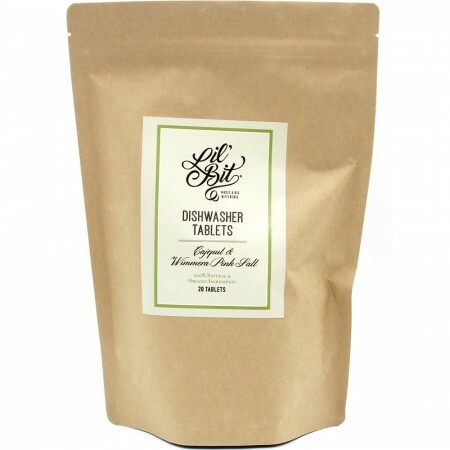 Add one tablet to the tablet compartment of your dishwasher and use as normal. Works wonders on baked on food - fill tray or pot with water, drop in a tablet and stand overnight. 27.5cm x 15.5cm bag. 27g tabs. Naturally Mined, Organic Sodium Borate (USA), Naturally Mined, Organic Calcium Sodium Carbonate & Sodium Chloride (USA), Naturally Mined Food Grade Wimmera Pink salt, 100% Natural Glacial Acetic Acid, Naturally Mined, Organic Sea Salt, ACO Certified Organic Essential Oils including Cajeput (Melaleuca leucadendron). 20 tablets. Resealable paper bag that can be recycled. Browse our other green kitchen products. The tablets won't fit in my Smeg. This was solved by cutting them in half. Not a huge nuisance but they need to be made thinner. I as quite happy with the results. I have used the Kin Kin powder with fairly good results. The tablets were disappointing though. Would not fit my dishwasher tablet dispenser and when left in the basket to dissolve, did not produce results expected. Glasses were streaky unless rinse aid topped up and cups on the top rack of the dishwasher had to be washed again . I would buy the powder again, but not the tablets. I crush the tablet and use it as the size of the tablet is bigger than the slot in my Dishwasher. Good for lighter loads. Less efficient in heavily soiled loads.